John Oliver is a funny guy, he frames serious issues in silly-oftentimes hilarious ways. However, if you happen to be a coal mining tycoon by the name of Robert Murray, you may be a bit less enthused about Oliver’s style of humorous reporting. After Oliver broadcast a piece targeting both President Trump’s favorable treatment of the coal industry and Murray’s business practices- specifically raising questions about whether Murray’s practices regarding safety cost the lives of some of his employees. Murray took his anger over the piece to the courts and sued Oliver, HBO, and Time Warner. Murray is no stranger to bringing defamation lawsuits-or to losing them. In Ohio he’s brought and lost seven separate defamation suits. He’s also currently suing the New York Times over publishing an article suggesting his actions exacerbated the deaths in a mine collapse. He’s also no stranger to the spotlight. For instance, he was in the news after he publically announced the firing of 156 people in response to the election of Former-President Obama. The lawsuit alleges that John Oliver, HBO, and Time Warner are Hillary Clinton supporters-targeting the coal industry and Mr. Murray personal with defamatory lies. The charges Murray brings against Mr. Oliver include defamation, false light invasion of privacy, and intentional infliction of emotional distress. Murray asserts that Oliver’s statements represent defamation per se by suggesting that he has behaved in a manner incompatible with the proper conduct of his trade by implying that Mr. Murray did not pay attention to safety issues. It also takes issue with Mr. Oliver’s jabs at Murray’s appearance, health, and age. Recently, Oliver lost the first true battle in the lawsuit-whether or not it would take place in federal court. Federal court is likely a more favorable place for Oliver in this suit as opposed to the West Virginia courts who are currently hearing the case. Federal courts tend to be more favorable to defamation defendants, and West Virginia in particular has had some history of judiciary taking money from coal companies to fund elections for state judges. Many have hailed this as the beginning of the end for not only the case, but Oliver himself. They look to Gawker’s famous bankruptcy after losing its own defamation case and wonder if Oliver and HBO are next. This is not likely to be the case, the statistics certainly are better in Federal Court, but the case will turn on the facts at hand and the law. With that in mind, let’s take a look at the lawsuit itself. Each of the charges against Oliver are serious. However, the defamation is not only the big ticket item here, it is the most likely of the charges to succeed. The intentional infliction of emotional distress charges cite harassment from fans. However, these actions are likely too far removed from Oliver’s statements to be predictably caused by them. False light charges require Oliver to have known his statements were false or to have disregarded a very high likelihood of falsehood. This is not only incredibly hard to prove, but Murray has provided no real evidence to this effect. Nor does it seem particularly likely. This being said, we’ll focus on how defamation works in general and in this case. Defamation is a general term for a situation where somebody makes a false statement that damages your reputation. Slander can be generally understood as spoken defamation while libel can be understood as written defamation. A general claim of defamation requires the plaintiff to establish that a statement was made which: 1) negatively impacted the plaintiff’s reputation; 2) clearly referenced the party suing; 3) was communicated to at least one person who is not the plaintiff; 4) at least one person communicated the statement understood what the statement meant and who it referred to; 5) damaged the plaintiff’s reputation; and 6) wasn’t true. Sometimes, as alleged in this case, some of these elements can be skipped over by showing something which is defamation per se. Where this is the case, a plaintiff just needs to show damages. The usual situations where this applies are for statements which either: 1) imply criminal activity; 2) imply a serious, infectious disease; 3) implies unchaste activity or sexual misconduct; or 4) implies a person behaved in a way outside the acceptable behavior of their profession. Accusing Murray of ignoring safety issues likely falls into the fourth of these categories, as his lawyers have alleged. This means that much of this case will come down to the exceptions to defamation rules. In order to be defamatory, a statement must be made as if it were factual as opposed to a opinion. This is because the truthfulness of an opinion is irrelevant if it is clearly the subjective opinion of just one person. However, where somebody says they have an opinion based on specific facts then the facts supporting their opinion can themselves be defamatory. This is arguable in this case. Oliver certainly presents the report as an opinion piece supported by facts. It seems unlikely that this will be of much use to the comedian. The next defamation defense that Oliver will likely turn to is satire-true satire cannot be defamatory as a matter of law. While defining satire is a tricky matter, it is generally agreed that satire is a work targeting an entity or entities—often but not always a government figure—for exaggerated commentary blurring the line between truth and the ridiculous. A true satire, for legal purposes, must blur the lines between truth and the outrageous in such a way as to make a reasonable person recognize that the satire does not express actual facts. Whether or not Oliver’s critiques are satire is up for debate. Just from the way it is presented, the report could be interpreted as not an outrageous representation of the truth but rather a humorous critique that presents facts as true but in such a manner as to highlight their ridiculousness. That being said, the flip side to the argument is that the report is exaggerated with the purpose of exposing Murray’s business practices. The ultimate issue is whether a reasonable person would see the work as satire or as factual news-due to the presentation of Oliver’s show as a news program (it essentially is) providing a defense of satire is likely an uphill battle for Oliver and HBO. There are two other elements that could enhance the evidentiary burden on Murray-public figure rules and public interest rules. Public officials and public figures, celebrities, politicians, well-known businessmen and the like, can only sue if a person knew or should have known their statements were false. The statements must have been made with actual malice–purposefully made to harm the plaintiff’s reputation. Whether somebody is a public figure is generally based on their fame and notoriety. Murray is well-known. However, whether or not he is so well known as to be a public figure is in question. He’s certainly seen his share of media scrutiny but could hardly be called a public figure. You can also make yourself a public figure on a specific issue through actions such as a lawsuit-like the one Murray has brought against the New York Times over a similar issue to what Oliver brought up in his report. This defense may help Oliver, but it will take some serious facts to show how famous Murray is. Public interest refers to a defense against defamation for statements reported to public with an honest belief in their truthfulness where the public has an interest in learning about an issue. This is a very common one for news outlets who are sued-as they often are-for defamation. It also has a lot of potential for Oliver. If Oliver truly believed his statements, and Murray has offered essentially no evidence that he didn’t, the public definitely has an interest in ensuring businessmen take steps to ensure the safety of their employees. There is still wiggle room here for Murray. However, this seems like it will be a very strong defense for Oliver. Finally, there is one more absolute defense to defamation we haven’t addressed-the truth. A defamatory statement has to be false. The ACLU’s amicus brief on the issue entertainingly uses this to highlight the similarities in appearance between Murray and Dr. Evil from Austin Powers-mocking his claims over the comparison as defeated by their truth. However, in seriousness, if there is sufficient truth to what Oliver has said–or with one of the above exceptions he at least believes their truth–then there can be no claim of defamation. With all this aside, let’s address a few of the claims of defamation from Murray. Specifically those regarding insults against him. Insults are almost always a statement of opinion. Calling somebody evil, ugly, or worse can be cruel. However, unless they are very rarely properly targeted with a defamation lawsuit. 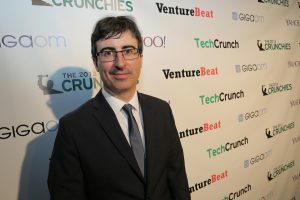 Will This be the End of John Oliver? No. Absolutely not. That’s ridiculous. The case is far from ironclad on either side but it is essentially certain that a company like HBO is not going to bankrupt itself on a defamation ruling like Gawker. Even were the lawsuit to succeed, a questionable assumption, the case itself has made itself victim of one of the oddities of such a lawsuit-by bringing a defamation claim Murray has brought far more free publicity to the topic and the show than HBO and John Oliver could have hoped for in their wildest dreams. They say there is no such thing as bad publicity, Gawker says otherwise. However, despite some saying the contrary, it’s very unlikely this is the end of the road for John Oliver. The next real battle will be over Murray’s attempts to place a gag order on Oliver-barring him from rebroadcasting his report or talking about the lawsuit. We’ll have to see how that turns out-this sort of injunction requires the court to believe that Murray has a strong chance of success. How they rule on it may be a good indicator of where the case stands. « Can the Police Enter a Driveway to Search a Vehicle Parked a Few Feet from Home?